On stravinskogo today in Rostov-on-don II all-Russian forum of food safety special attention is paid to the production of organic food. At the plenary session "food industry: natural authenticity against the requirements of the market. From conflict to harmony", the experts discussed this issue in more detail. It is projected that by 2050 the Earth will live 9 - 10 billion people, therefore, food production should grow at least 60%. As a consequence, there are risks that the quality, environmental friendliness, the beneficial properties of the food will be "sacrificed" for the sake of reducing costs for producers, ensuring presentation, and preservation of physical and environmental availability of food. Organic (ecologically clean) products in the world today make up only about 5% of the total produced volume. According to the head of projects of the Public Association of genetic safety Novoselova Nadezhda Alexandrovna, organic products could become the new oil in Russia, as they have high production potential. However, now they are unavailable most of the population. According to the survey, the food basket of organic products in the U.S. and in Russia now costs about $500 per month. Experts believe that the development of such production in our country the prices will gradually decrease. Unfortunately, the implementation of this kind of production is a lengthy and costly process. In the opinion of the General Honorary Consul of the Italian Republic in southern Federal district and skfo Pierpaolo lodigiani, production in Russia, for example, milk without lactose is relatively easy and does not require high material costs, however, in Russia this business is not popular among manufacturers. 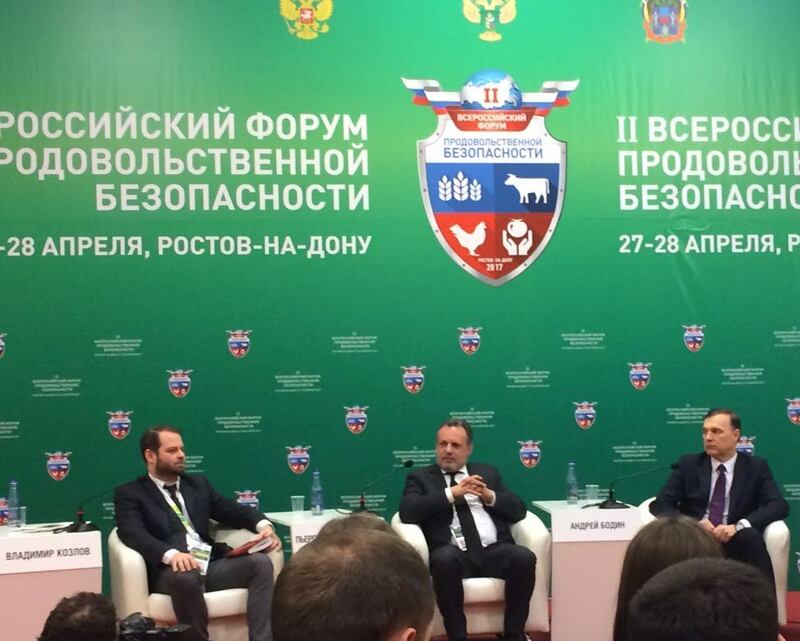 II all-Russian forum of food safety continues.